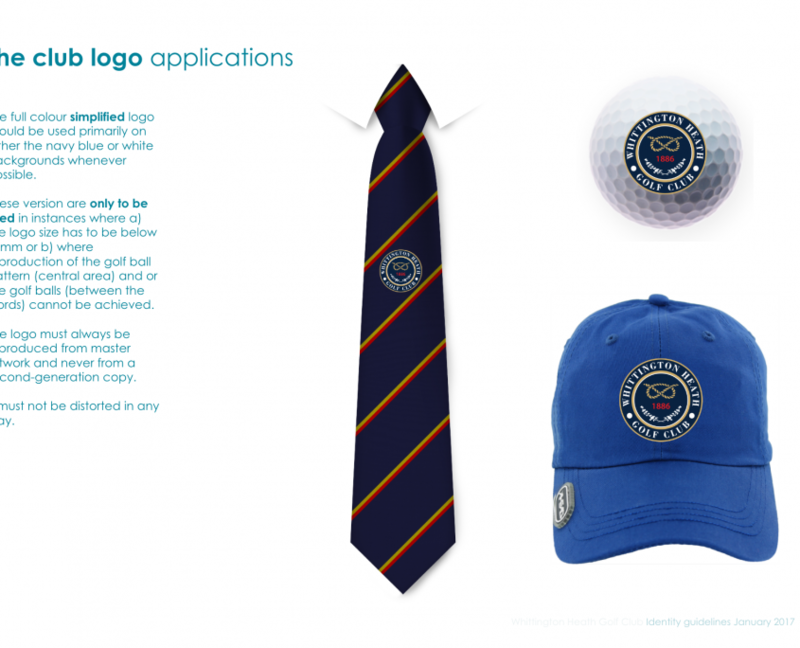 Essential brand development work was required in advance of the clubs website and social media redevelopment projects. 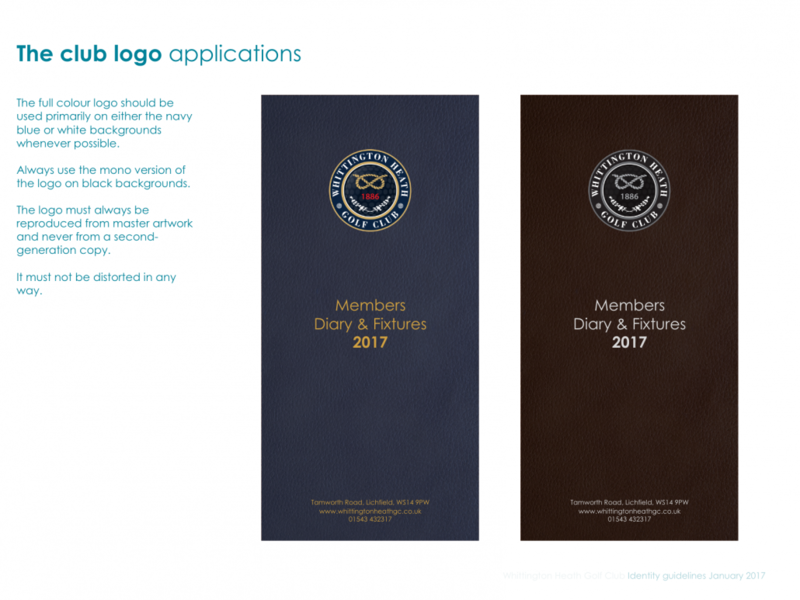 We identified a significant amount of identity inconsistency across their media and printed materials. 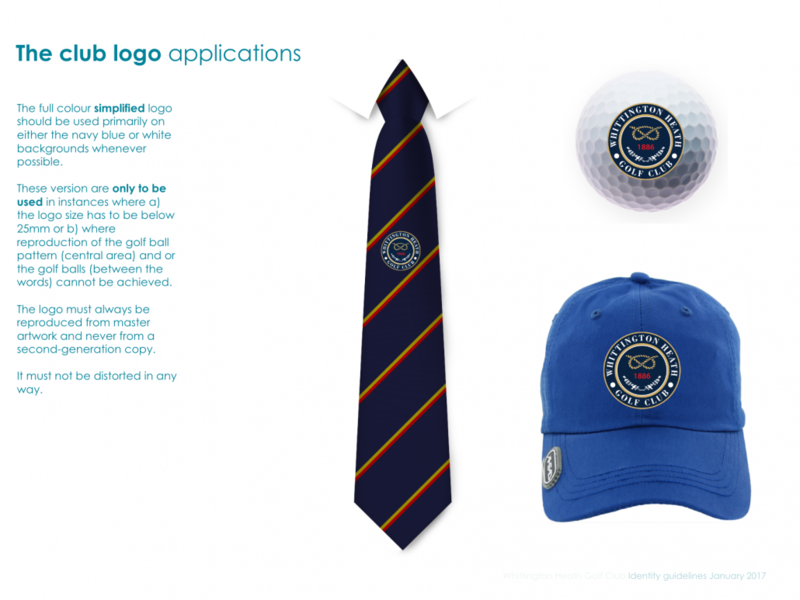 There were different presentations of the clubs name and random uses of the logo elements e.g. 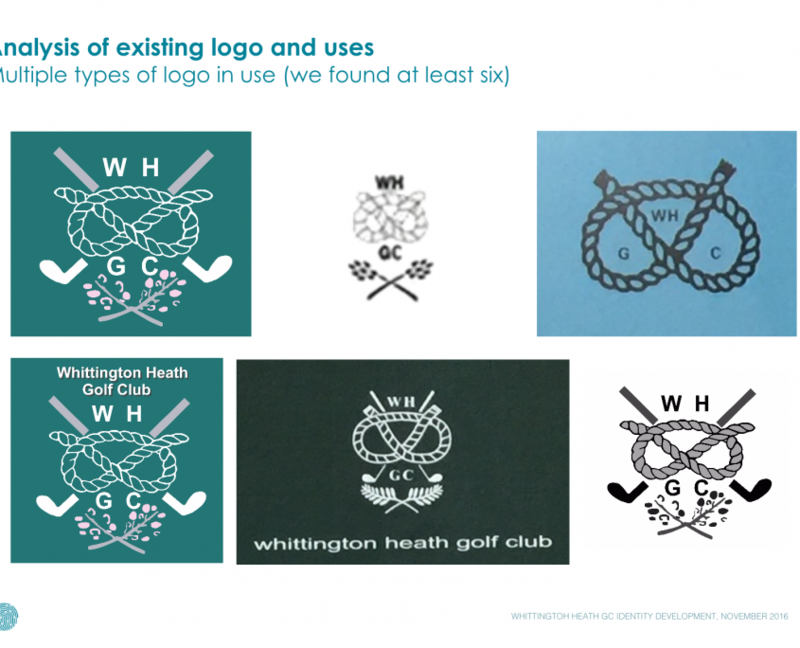 knot, heather, clubs and words. 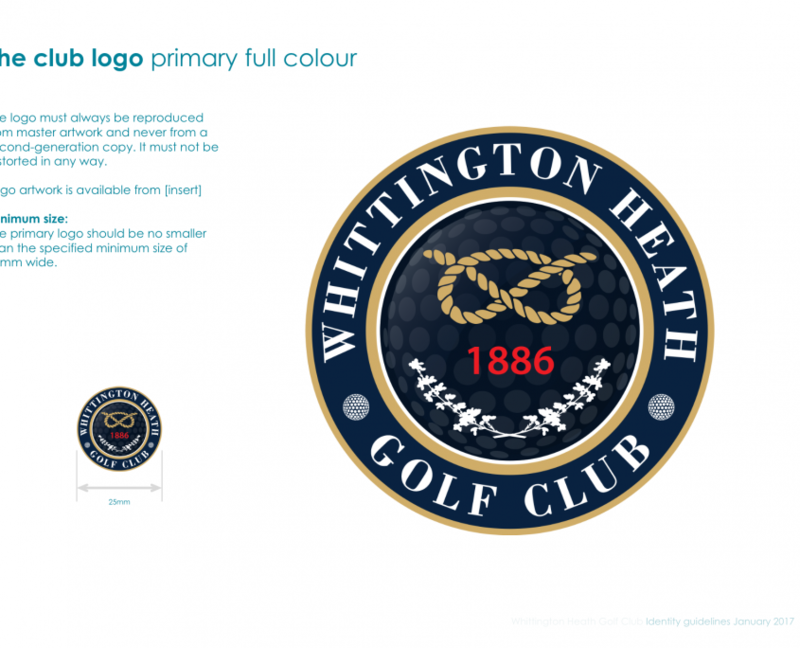 Our first task was to modernise the club logo to include redrawing of the individual elements. 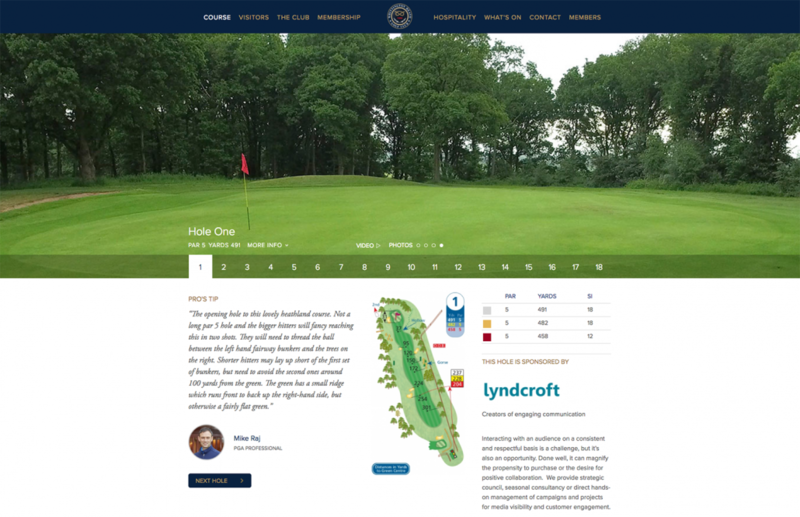 The objective was to represent a historic and well respected golf club who, due to specific circumstances, face significant change and therefore the opportunity to update the way it presents itself publicly. 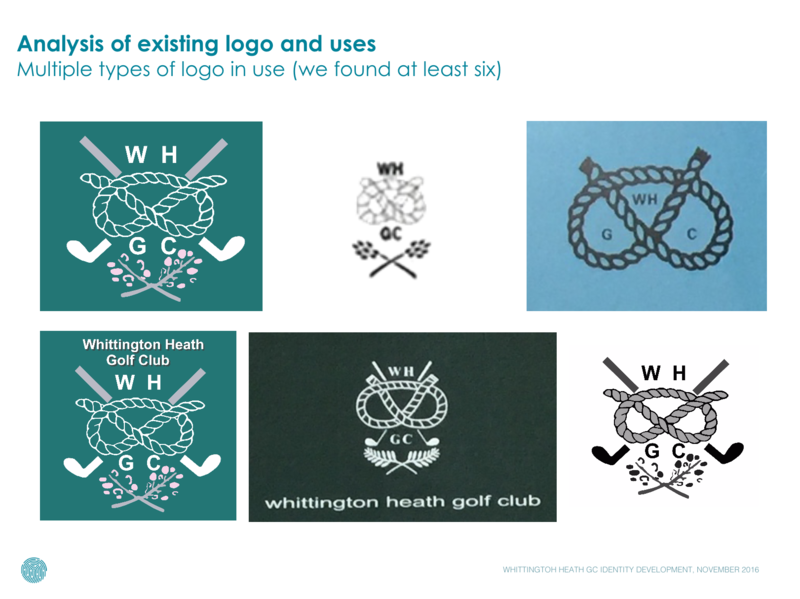 The new logo retained the two core elements of the existing logo, the Staffordshire Knot and Heather and benefited from the introduction of a shape to provide a frame and some structure. 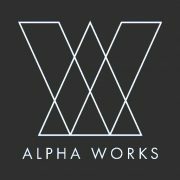 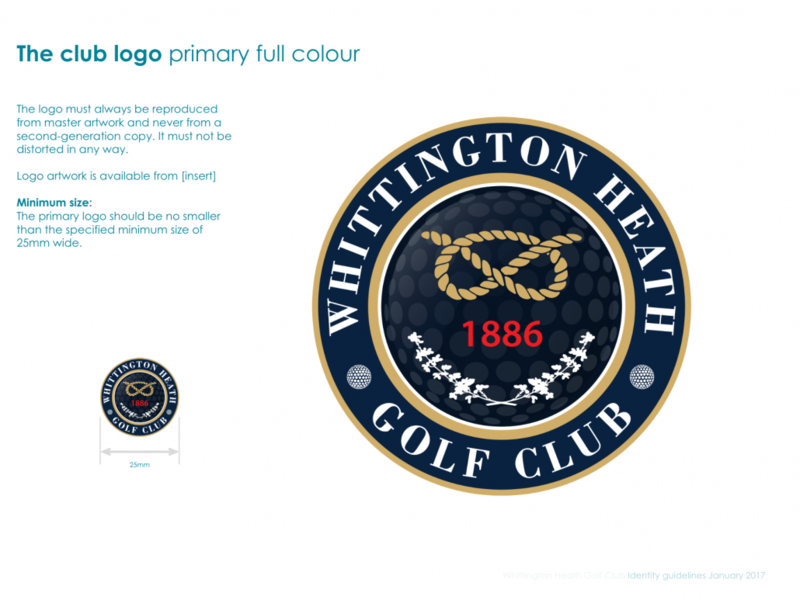 We considered the complexity and detail of the individual elements to avoid any future production issues. 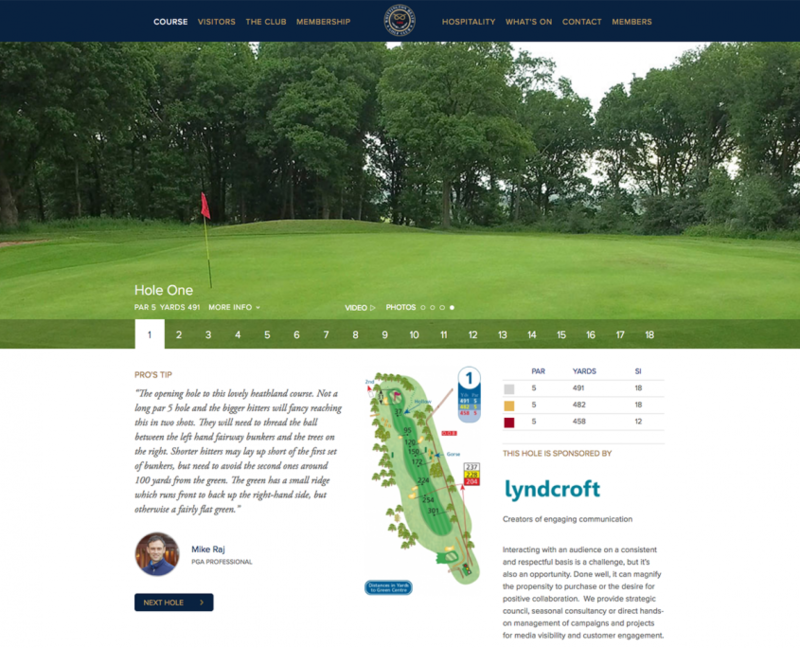 Similarly, the new design had to work well both online, through social media and website, as well as offline though printed, woven and promotional materials. 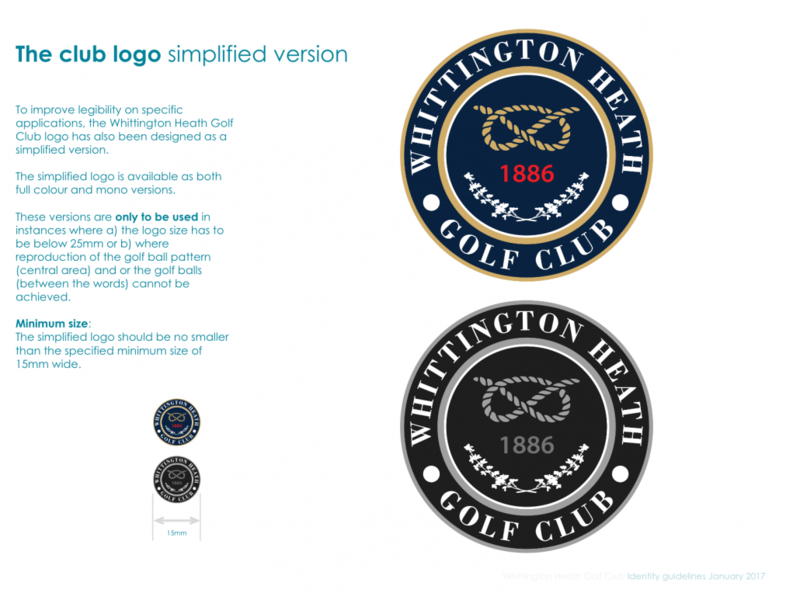 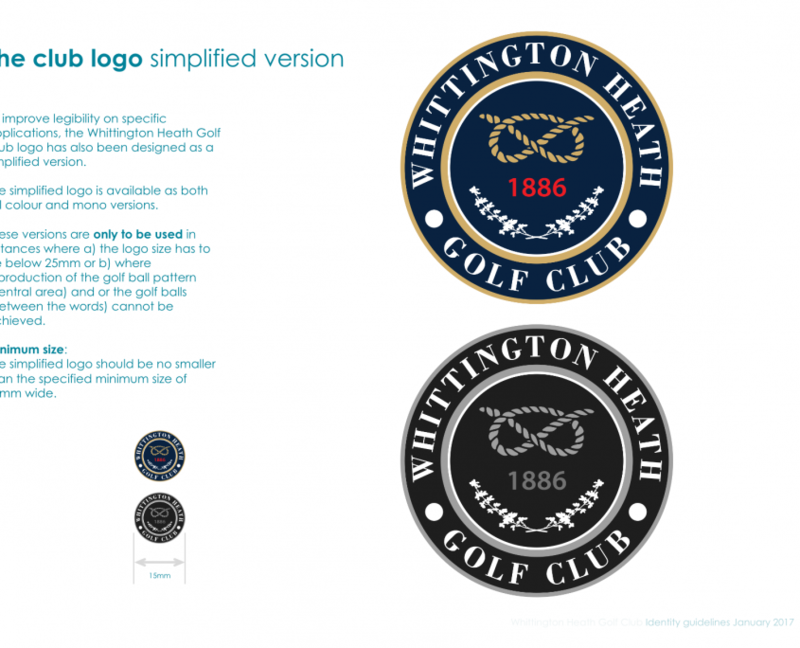 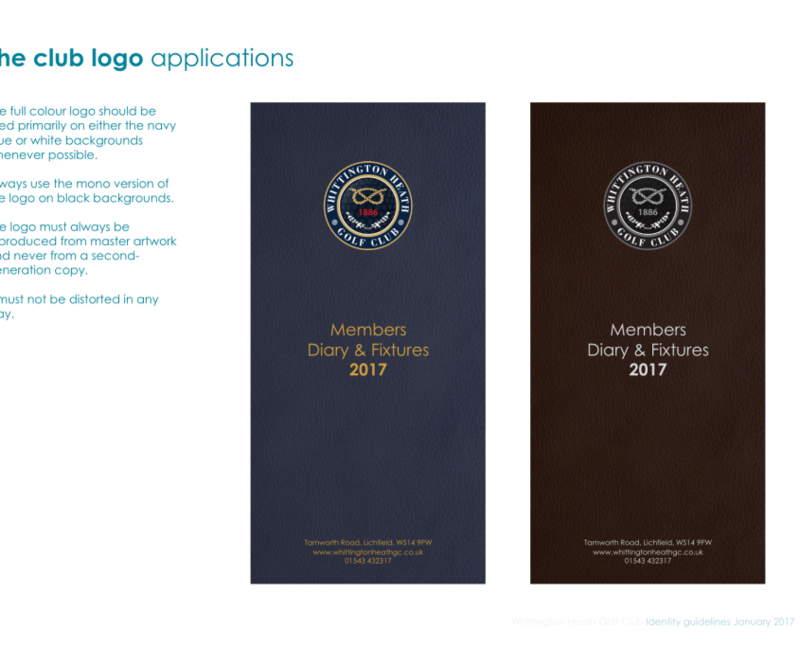 Our final task resulted in the creation of an essential corporate Brand Guidelines that the club can refer to for instructions on how to use the logo consistently, apply colours and font types.